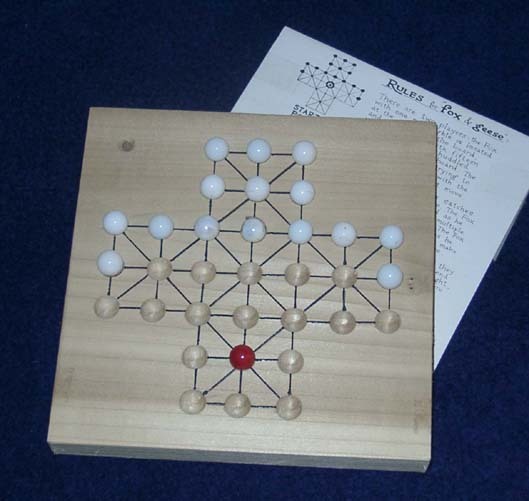 The game of fox & geese in one form or another dates from at least as early as the 14th century. It was brought to North America by the colonists and has received slight modification since. The variables are in the number of geese, the allowable moves of the geese, and the objectives of the geese. For this version, rules are included for a variation using 13 geese.